The modular cubby unit comes with 2 poles that can be used to hang clothes inside the storage unit, or can be installed on the outside panel extending to the wall, providing unique configuration possibilities. As well, there are 4 convenient compartment shelves with the option of an additional 2 drawer set. 2 poles for hanging clothes that can be used inside the unit or installed on the outside panel extending to the wall. Poles extend from 61 cm to 121.9 cm (24 in to 48 in.). 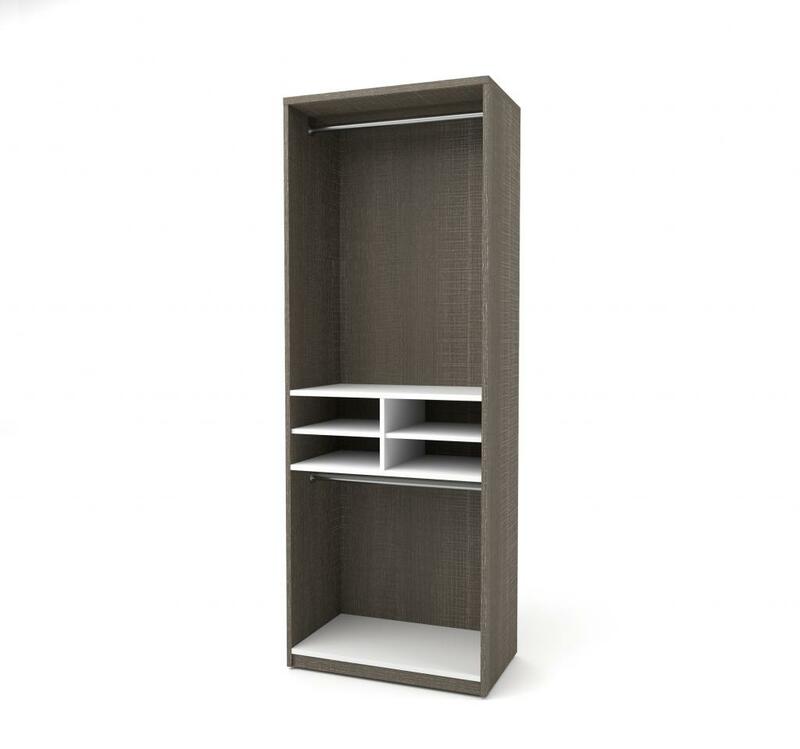 Ideal addition to Walk-in or Reach-in closets, or as a standard storage unit for any room in your home.